Parts from DG or FMF for a 250cc ANYTHING are extremely rare. 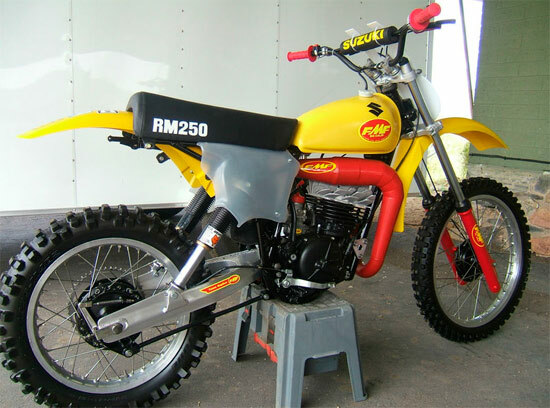 I had compiled these parts for years and then constructed the ultimate FMF RM250 Package Racer. FMF porcupine head, ported FMF style cylinder, early vintage FMF coned pipe w/ integral FMF silencer. FMF extended length swingarm. MX-Fox shox. Vintage chromeoly bars. New Oury grips. New DID gold series chain. New vintage Pro-Tec chain tensioner. Preston Petty Tony D front fender. New seat cover. New transluscent side panels are works style and are now impossibly hard to find. Vintage plastic RM tank, powdercoated frame, all modified 38mm suspension rebuilt and works AWESOME, motor rebuilt & very fast, new tubes & tires, bars, Oury grips, cables, Sun Line levers & perches. All new bearings, seals, gaskets—100% restored. Bike now has new DID Gold Series chain but not shown in pictures—looks great. Zero miles since resto. Super rare–you won’t find another one. ATTN– INTERNATIONAL BUYERS: NO TITLE. I can arrange transportation to any freight forwarder of your choice. Example: cost for bike to Los Angeles will be $200.00. ALL other DOMESTIC SHIPPING WILL COST between $350-$500 door to door depending on location. 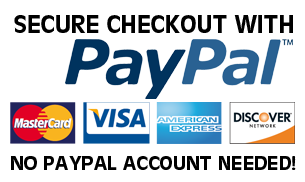 ALL SHIPPING COSTS ARE EXTRA and offered as a service to help the buyer only. International buyers: I can arrange shipping to any world port destination of your choice nearest to you, but bike would need to be disassembled and shipped as ‘used parts’. Email me for details and price quotes. Bill of sales provided at any denomination requested by purchaser. IF YOU HAVE ANY QUESTIONS PLEASE CALL ME AT 623-465-0636. DESCRIPTION: Correct numbered bike. Lots of excellent parts. Race as is or use as parts. Motor turns with great compression and spark. All original forks, wheels, all rebuilt . Super nice DG pipe & silencer. Please call me or email me regarding the running capability of this bike. Sold as is with no warrantees or guarantees. COST OF SHIPPING NOT INCLUDED IN PRICE. I can arrange shipping to anywhere in the lower 48 states USA for an EXTRA $300-$400 for each bike. Free local pick up or arrange your own shipping IF YOU PREFER.